Phoenix International Holdings, Inc. hired Jack Herbert as its Commercial Operations Sales Manager in the Largo, MD office. 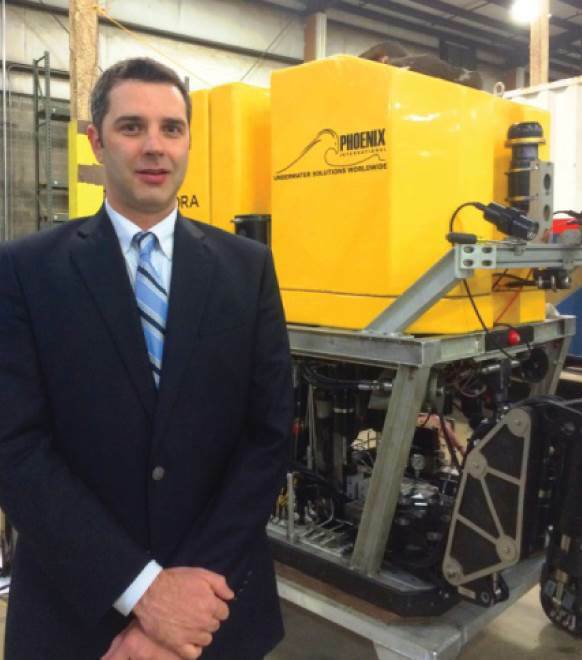 His responsibilities include executing Phoenix commercial (AUV, ROV, and Engineering) sales objectives, increasing market share, and leading an aggressive commercial marketing and sales program. Prior to joining Phoenix, Herbert worked as a Business Development Manager for Marine Sonic Technology Ltd., Reson Inc., and IxBlue. Clients included AUV builders, Hydrographic Survey Companies, the U.S. Navy, U.S. Coast Guard, National Oceanic and Atmospheric Administration (NOAA), and the Army Corps of Engineers. He also took part in marketing, training, product development, and management of international sales representatives. Some highlights from these roles include conducting side scan sonar training to the Brigade Fluvial de Paris on the Seine and assisting The Bent Prop Project with WWII aircraft location in Palau. Before entering the private sector he served as a NOAA hydrographer aboard NOAA ships RUDE, RAINIER, and on two NOAA Navigation Response Teams based in Norfolk, VA and New York, NY. Survey areas included New York Harbor, Boston Harbor, Narragansett Bay, Chesapeake Bay, Puget Sound, and the coastal regions and fjords of southeast and southwest Alaska. Mr. Herbert worked in support of fleet logistics at NOAA’s Atlantic Marine Center and received the NOAA Office of Marine and Aviation Employee of the Year Award for his efforts there. Herbert holds a Bachelor of Science degree from Old Dominion University, where he studied Geographic Information Systems and Oceanography.